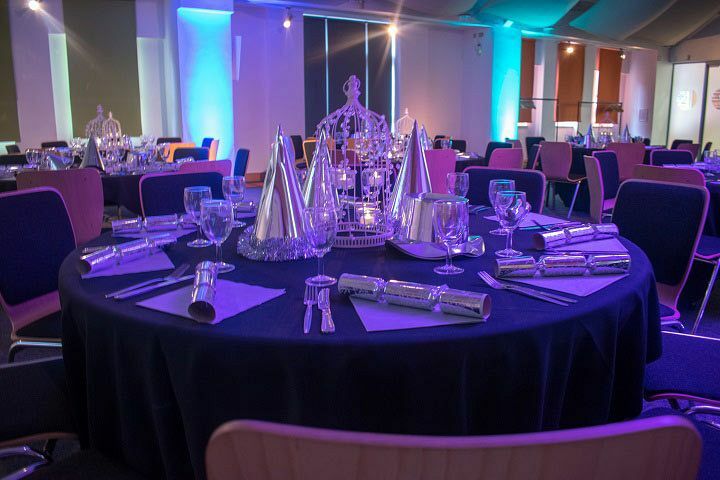 With Christmas on the horizon, there’s never been a better time to start thinking about organising the annual company party, and if you’re a small to medium sized group, then we’ve got just the shared party night for you and team here in Manchester! Included in this fantastic package is everything that you could possibly want; start the night off in style with a chilled welcome cocktail. It’s the perfect way to relax and unwind away from the workplace as you catch up with your colleagues. Also included is a mouth-watering three-course carvery meal, that will be sure to get you in the mood for the festive season! Choose from traditional turkey, sumptuous roast beef or a delicious lentil nut roast for the vegetarians of the party. Each main comes with all those tasty trimmings for a delicious feast that you won’t forget. As for dessert, you’re in for a real treat as there’s a table of Christmas desserts to choose from. Festive novelties will be included too, so don’t forget to pull your cracker with your neighbour and revel in those cheesy jokes whilst sporting a colourful party hat. The dining experience will be rounded off with freshly brewed coffee and mini mince pies. As the evening continues, get ready to party the night away with the DJ, who will be providing the soundtrack to your evening. Expect all the classic party tunes, along with the latest chart hits and some festive favourites for good measure. Feeling thirsty? If so, make your way to the gin and prosecco bar, where you’ll be able to treat yourself to a chilled drink from the excellent choice. 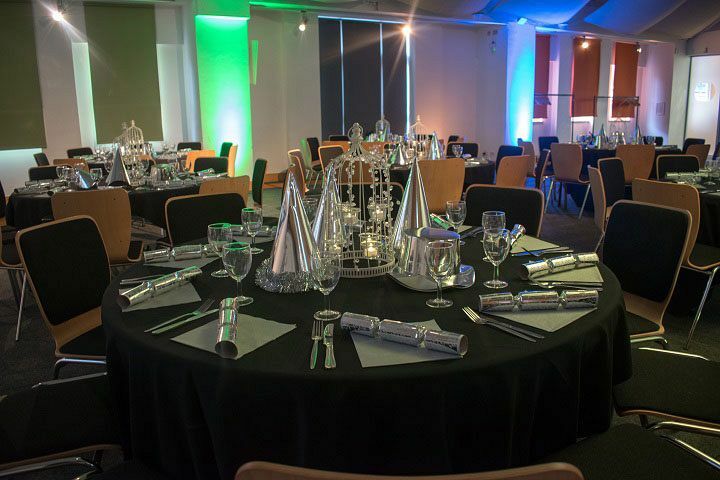 Make your Christmas party in Manchester one to remember with this fantastic shared party nights – send an enquiry through today!